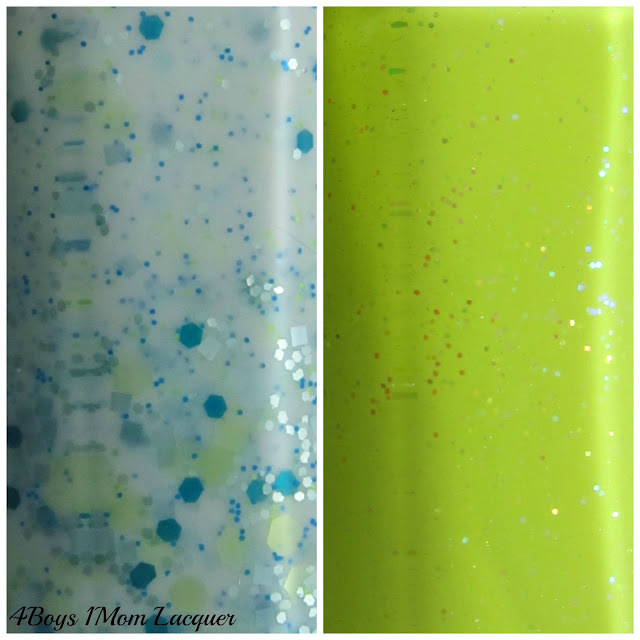 Today I have a Limited Edition polish made by Creations By Lynda and I also have a beautiful mint crelly polish to share with all of you. The Limited Edition polish will be released August 1st . The mint crelly polish has already been released and is currently in her shop . The polish I am reviewing is polish I have purchased myself. They were not given to for reviewing purposes. I applied 3 coats with no undies but if you prefer the jelly look you can just apply 2 coats. I think this polish is a perfect color for the summer. I think Neons are best and really make your nails pop on those hot summer days. I want a neon pink one too but I will have to talk to Lynda and see what she thinks. I absolutely love Lemon Drop with this nail art. For this polish you need to really shake or roll it good to get the larger glitter on the brush. I cant seem to get enough of polish with mint glitter or just the mint color all together. I think mint polish is in high demand right now. I think its a color that never gets old. Well thats my opinion anyway. I added some nail art over Mint Orchid. 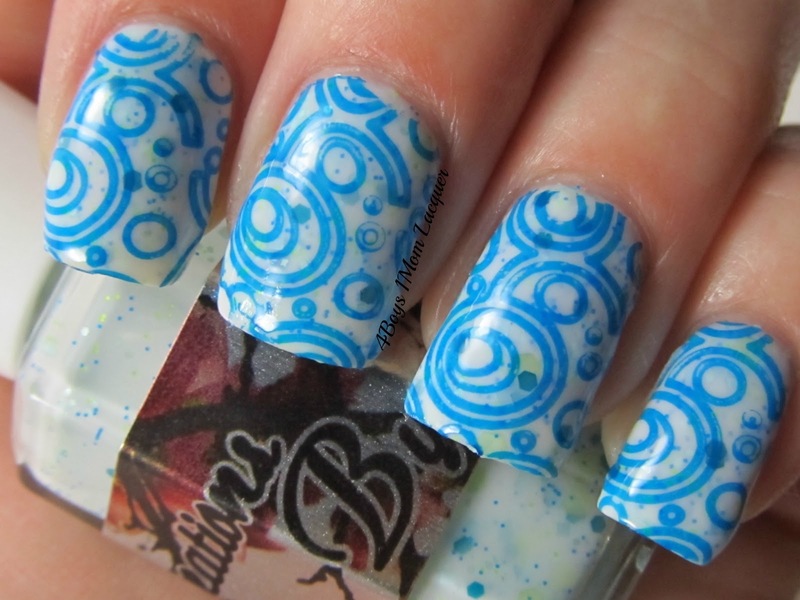 I used a stamp off of the Musical Nails Cheeky plate with Blue Konad stamping polish with HK Girl top coat over it. I hope you all have enjoyed todays review. Dont forget if you loved Lemon Drop, look for it to be on sale August 1st. It is Limited Edition. Today I have something special for you. 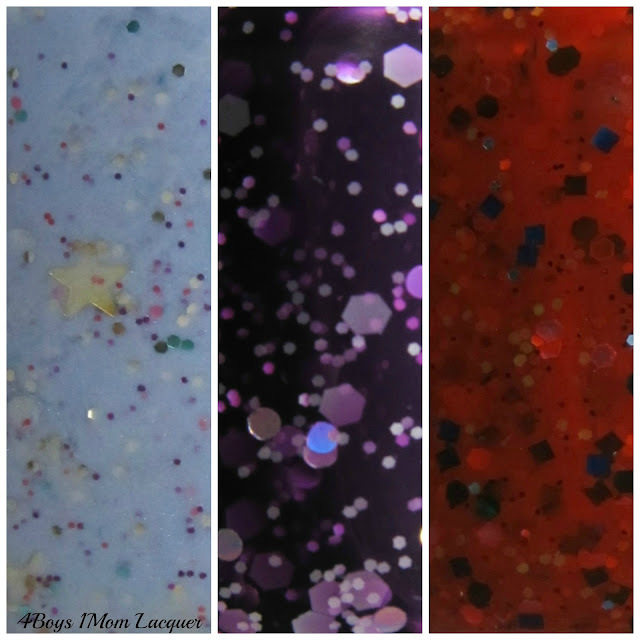 I have 3 custom made polishes from a company called Honey Buttons. I reached out to Jessica which is the creator and owner of Honey Buttons and I asked if she could make me 3 polishes. She was so sweet and said yes. The 3 ideas I came up with that I wanted my polish based on was.. Rainbow Bright, Ariel from the Little Mermaid and Ursula also from the Little Mermaid. All I did was tell her what I wanted the polish to look like and what kind of glitter I wanted added and she made it for me. At the moment she does not have a shop BUT If you want to order polish from her or want one custom made just shoot her an email or message her on her Facebook page. I will post the links to her page ect at the end of this review. I purchased my polish for $5 each but prices could go up soon. Not only did I purchase the 3 custom made polishes from her but I also purchased 5 more polishes from her as well. Those colors will be posted soon. Lets take a look at the beautiful polish I had custom made for myself. You will notice immediately how awesome the labels look. It has tiny hex assorted colors( Colors Of The Rainbow if you will) scattered around in the formula. 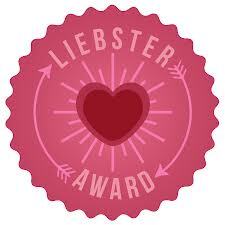 It also has gold stars and silver circular glitter. The Rainbow colored glitter represents her colorful outfit. The gold stars represent the star on Rainbow Brights Horse's head. I applied 2 coats of Rainbow bright and used HK Girl top coat for added shine. Of course I had the polish made red to match Ariel's hair and the green and silver hexes are for her her tail. I applied 2 coats with no undies and HK Girl top coat. I will add that top coat is not needed. This polish shines on its own. I hope you enjoy her polish like I do. I have something to share with all of you. Its a new line of nail care that has just been released in stores. 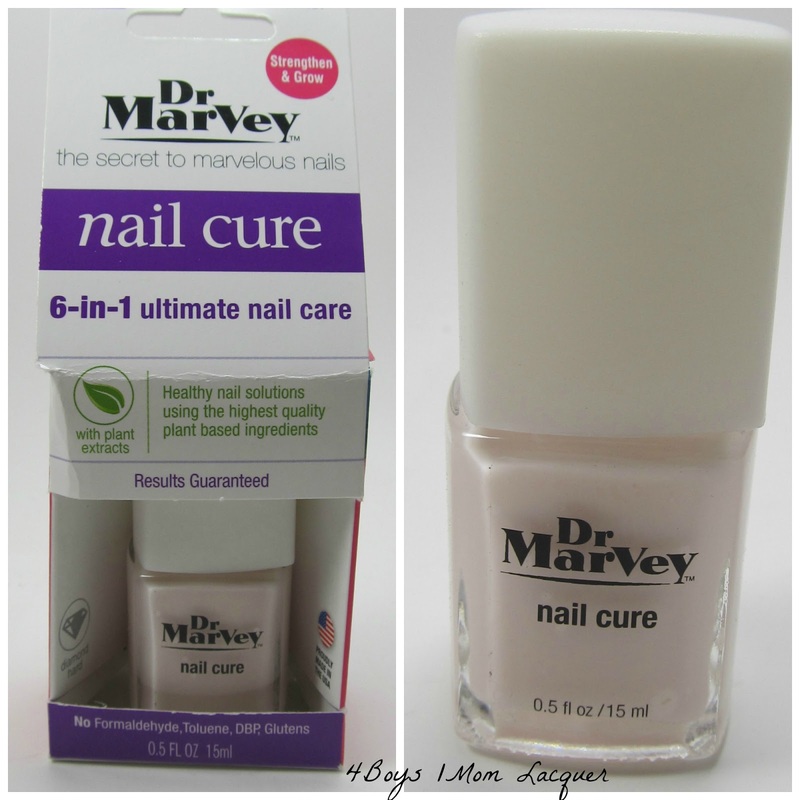 It is new Nail treatments by Dr. Marvey. Who is Dr. Marvey you ask? 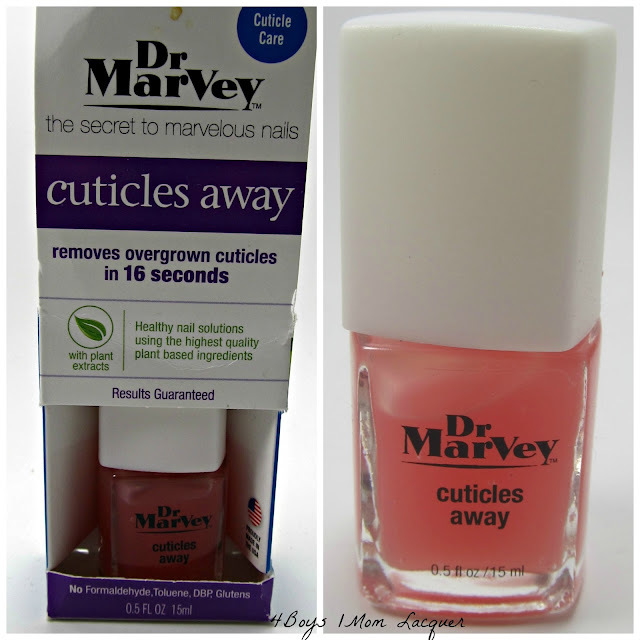 Dr. Marvey is a selected panel of qualified nail experts. health. skin and beauty prfessionals, style and trend insiders working together to bring you the secrets to marvelous nails. I was introduced to this line by Tweets Nail Color. 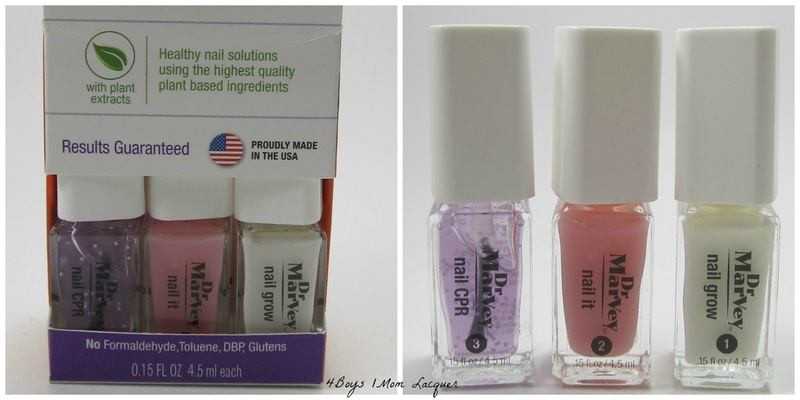 I had done a couple reviews from them in the past and they asked that I try out the new line of Dr. Marvey nail treatments before they were released in stores. I know you have never heard of Dr. Marvey products so let me fill you in on some facts. They are perfectly safe to use and this is what we all are looking for. 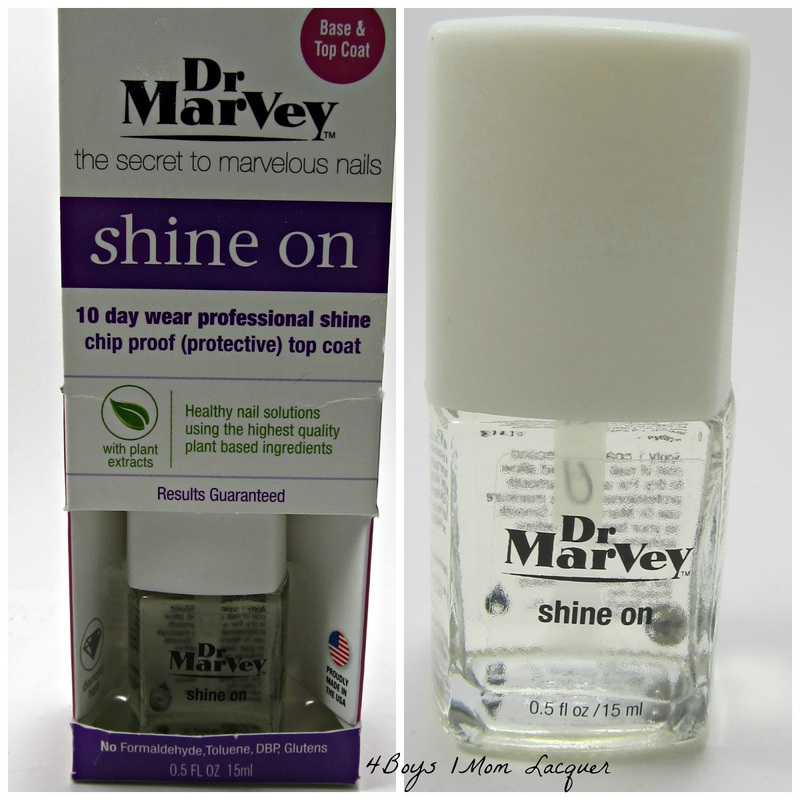 We need safe products to use on our nails and Dr. Marvey nail treatments are just that. Lets take a look at the product, Shall we? I was sent 5 different nail treatments which are all color coded into 5 categories. I tried out all the products for about 3 weeks. 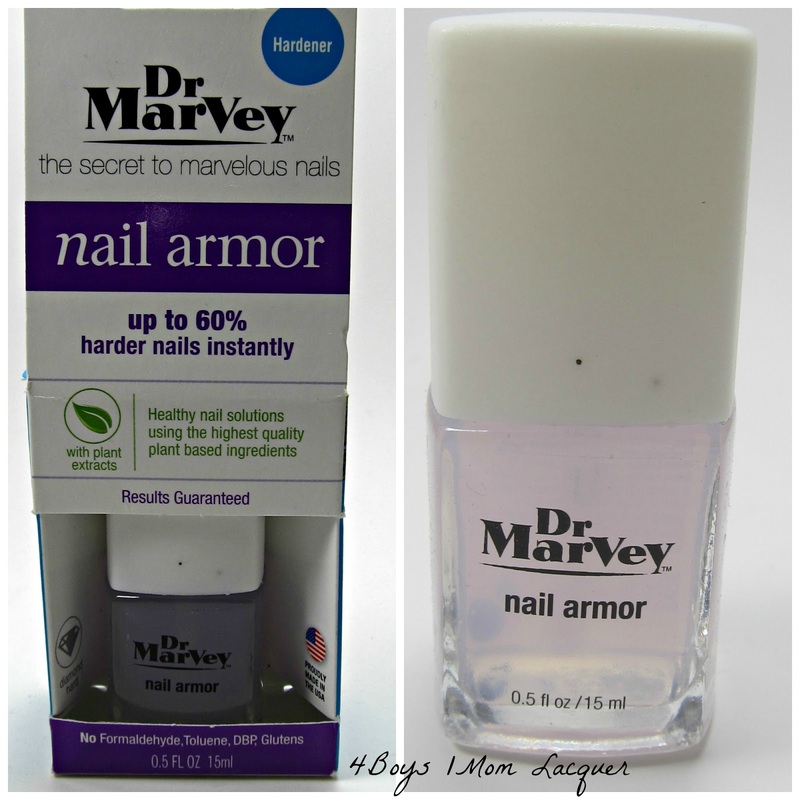 As of right now you can only find Dr. Marvey products at selected stores like Harmon and Zitomer stores. They did metion that they are trying to get Dr. Marvey's products in other stores around the country. So hopefully that happens soon. What this does is restores severe damage from artificial nail or gel nail color. What you need to do first is Apply 2 coats of #1 which is (Nail Grow). It does take a while to dry which I felt was a pain because I am very impatient. Next you need to apply 2 thin coats of #2 (Nail It) Again it takes a bit to dry so I recommend applying this product when you have a few hours to spare. Lastly apply #3 (Nail CPR) around your cuticles and nail bed. It's a gel and does smell amazing. I enjoy using Nail CPR and this is to be used daily. I would actually love to have a full size bottle of this stuff. I do actually have them out of order in the photo and I do apologize for that, lol. I really like this. I did notice it made my nails really shiny and glossy. Note:It does take a while to dry. It is not a fast drying top coat. It has UV absorbers to prevent fading and yellowing. All you need to do to apply is use 1 coat and your done. Your nails will be noticeably shinny. What this does is soften, dissolves and removes overgrown cuticles painlessly in a short 16 seconds. It has rich botanicles of kewi, grape extract, jojoba oil and aloe. Very natural ingredients, which is always a plus. all you have to do is apply a small amount to your cuticle area and push your cuticles back using an orange stick. I use the orange sticks. They seem to work best for me at the moment. I use a cotton ball to remove the excess product. The wash your hands. I forgot to mention that this has a very pleasant smell. It smells like fruit. Very fresh smelling. This 6-in-1 ultimate nail treatment reduces peeling and breaking. When I used this it took a while to dry but I came to the conclusion that its worth the wait. Its a all natural product and that is really rare to fine in nail care. Use 2 coats and let it dry. You could also use this as a base coat and apply your favorite color over it or wear it as is. This is a professional strength, clinically tested remedy for thin, weak nails. you can use this as a base coat or use it as a stand alone treatment. All you need is to apply 2 coats and your done. Just wait for it to do its thing and harden your nails. It is supposed to get your nails up to 60% harder instantly . I have came to the conclusion that you really cant get any better than products that are made with plant based ingredients. 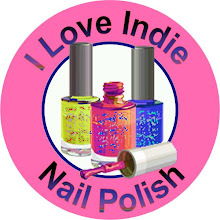 Its very healthy and is not hard on our nails. I really like the Dr. Marvey Nail Care line. Beside waiting for the polish to dry, I found the products to live up to what they say they do. I did notice that the caps on the polish never went on straight. I tried to see if I could pull the cap off to straighten them out but It just didn't happen. There is some square caps that do pull off so they can be straightened out but not these. I could be wrong . I might just be to weak lol. Welcome all my fellow lacqueristas !!! Today's blog is featuring a company called Mentality. Mentality is husband and wife team, working to bring quality nail polishes at affordable prices. Mentality offers a variety of pigmented, holographic, and glitter nail polishes that to my experience are Gorgeous and worth every penny . I have a Matte polish and a stamping polish to show you. Are you ready to be awed ? Well get ready!!! Get Set!!! Go!!!!! It is a stamping polish but can be used as a great stand alone polish. 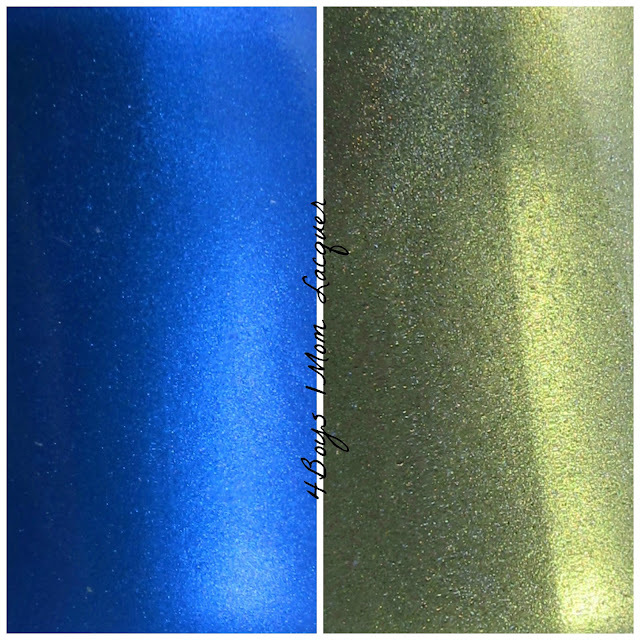 This is a bright green holo color with a gold flash. This polish does come with a flat brush. I did not use a top coat. They both look very pretty together. I love it! It is such a stunning color. I had no issues with this formula. It was so easy to use. I think I found a new obsession!! It is a Royal Blue Matte polish. It looks to have some shimmer when wet but when it dries its a solid color. It also has a flat brush. This is a 2 coater and it is so beautiful. I love how all the polish has flat brushes. It makes is so much easier to do a mani. I love matte polish and this is defiantly one of my favorite by far. Overall I had nothing but great experiences using Mentality polish. The formula is perfect. I defiantly recommend you trying these out. They are priced perfectly. They are not to expensive at all. Below I will post the links to direct you to Mentality .